When the pope comes rolling through the United States in September, he's going to have a few special words for Speaker of the House John Boehner. According to the Republican leader, Pope Francis will address Congress on September 24, making him the first pope in U.S. history to do so. Given the pontiff's left-leaning stances on issues such as immigration reform and income inequality, he may just cause a few Catholic Republicans to convert (but at least we know good Catholic/Vice President Joe Biden will be happy). In a time of global upheaval, the Holy Father’s message of compassion and human dignity has moved people of all faiths and backgrounds. His teachings, prayers, and very example bring us back to the blessings of simple things and our obligations to one another. We look forward to warmly welcoming Pope Francis to our Capitol and hearing his address on behalf of the American people. "It will be a historic visit, and we are truly grateful that Pope Francis has accepted our invitation," Boehner added. 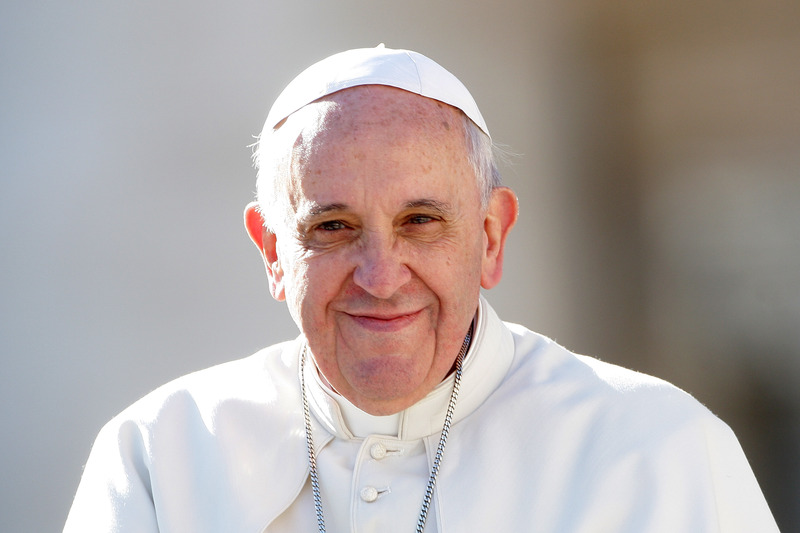 Francis confirmed his inaugural visit to the United States last month. The pontiff will visit New York, Washington, D.C. and Philadelphia, where he will address the World Meeting of Families. I am overjoyed by Pope Francis’ announcement that he will join with us for the World Meeting of Families in Philadelphia next year. A hallmark of his papacy has been a keen focus on the many challenges that families face today globally. His charisma, presence and voice will electrify the gathering. Boehner first formally invited Francis to address a joint session of Congress last March. In a written letter to the pontiff, Boehner praised Francis' "servant leadership" and ability to challenge people to "lead lives of mercy, forgiveness, solidarity, and humble service." These principles are among the fundamentals of the American Idea. And though our nation sometimes fails to live up to these principles, at our best we give them new life as we seek the common good. Many in the United States believe these principles are undermined by ‘crony capitalism’ and the ongoing centralization of political power in the institutions of our federal government, which threaten to disrupt the delicate balance between the twin virtues of subsidiarity and solidarity. They have embraced Pope Francis’ reminder that we cannot meet our responsibility to the poor with a welfare mentality based on business calculations. We can meet it only with personal charity on the one hand and sound, inclusive policies on the other.